Can a seat belt be cleaned ? Over time, seat belts can experienced quite a bit of wear and tear. With that may come a lot of handling by sticky, dirty, wet, or greasy fingers. Seat belts can also come in contact with a fair amount of pet slobber. Although you may not have tried before, seat belts certainly can be cleaned. There are several ways you can go about doing so. One option for cleaning dirty seat belts is by the trusted and true soap and water combination. Try to stick with a mild soap and make sure that your water is warm. This simple mixture is perhaps the most popular seat belt cleaner & spot remover and should definitely do the trick! Another thing you can use to spruce up your seat belts is body wash. Body wash works just as well as soap. However, you have more variability when it comes to body wash and can choose one that will make your car smell divine. Some people also recommend washing seat belts with baby shampoo. If you are someone who is worried about using the right products, especially in areas where your kids will be spending a lot of time in, this might be the perfect option for you. Whatever option you go with, it will make the world of a difference! Just make sure that you properly rinse out the soapy liquid after washing your belts, so that the mixture does not leave a sticky residue or cause your seat belts to fade in the sunlight. If your seat belts are dirty beyond repair, if they are not just dirty but also frayed and torn, or if you just don’t want to put the effort into cleaning them, you should consider getting the material entirely replaced. The company Safety Restore has a seat belt webbing replacement service in place for just that. The cool thing is that you can choose to replace your original seat belt material with a custom color—or, if you aren’t feeling brave, you can go with the color-match option. You simply need to log onto safetyrestore.com, prepay for the service, and send your seat belts in for re-webbing! Will a frayed seat belt fail MOT ? Wondering if a frayed seat belt will fail MOT ? If you live in the United Kingdom, you know all about the MOT test. Basically, it is a test performed by the Ministry of Transportation that looks at the safety of a vehicle, roadworthiness aspects, and exhaust emissions. Any and all defects or faults found can be cause for failure of the test. That applies even to the seat belts. The seat belts are important safety components in a vehicle, so the MOT test places exceptional attention on the state they are in in a vehicle. It particularly looks at the anchorage, the retractor, the pretensioner, the load bearing structure, the buckle, and the material webbing during the seat belt check. When it comes to the material webbing, it has to be in suitable condition. There should be no fraying, rips, tears, worn out patches, or cut portions. If any of this is found on an individual’s seat belt(s), he or she will not pass the MOT test. Failure to pass the MOT test will leave you with a ‘refusal of an MOT test certificate’ that will be recorded in the MOT database. At this time, it would be illegal for you to operate your vehicle. If you do decide to drive, you can be fined up to £2,500, get banned from driving, and/or receive 3 penalty points. Of course, you can appeal the results if you think it is wrong, but this may not change them. Your best bet to pass the MOT re-test—and for your personal safety—would be to do everything necessary to repair the faulty aspects of your vehicle. If the problem lies in your seat belts, you can purchase brand new ones at the dealership. Or, you can turn to the company Safety Restore. 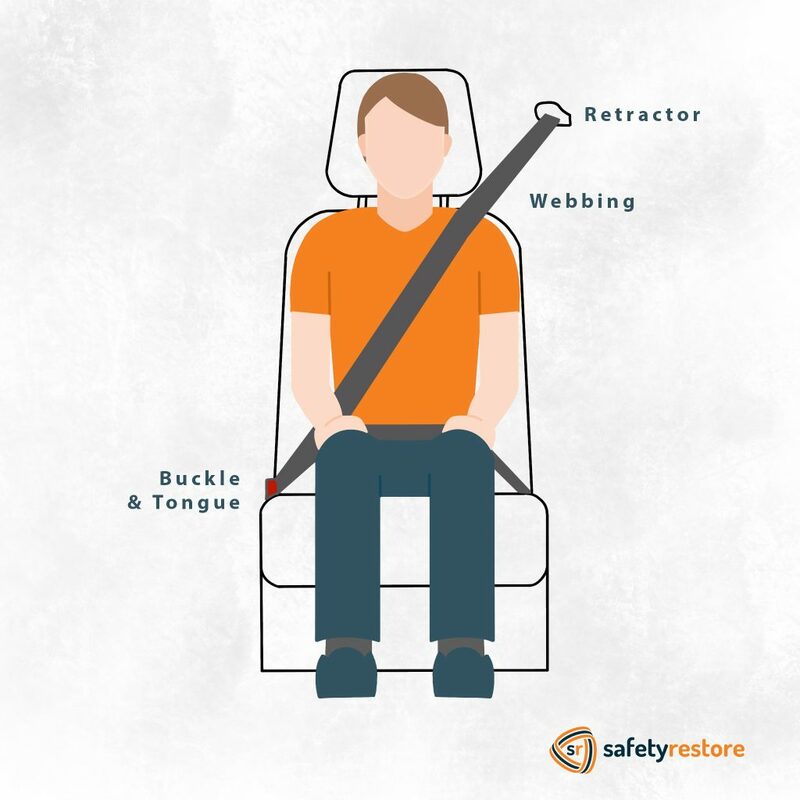 Safety Restore performs quality seat belt repair on single stage, dual stage, and even triple stage belts and also has a seat belt webbing replacement service. It prices its services much lower than the dealer and yields great results. The company also has a quick 24-hour turnaround time and offers a lifetime warranty on all services. Simply log onto safetyrestore.com and purchase the service for seat belt repair. Many people love winter except for the fact that it gets darker a lot earlier and days feel much shorter. By the time the average adult gets out of work, it is already dark outside. Sometimes, the only daylight people see is in the early morning or on weekends. Therefore, it is very important to try to compensate for the lost sunshine and make life a little brighter any way possible. Below are four ways to escape the winter blues and brighten up your life during these long cold months. 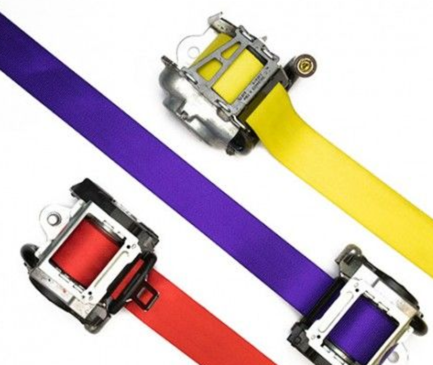 Choose from our large variety of seat belt webbing colors and upgrade your seatbelts today! One way to light up those gloomy winter months is to wear a bright piece of clothing. Rather than wearing neutral or dark shades, get out of your comfort zone and wear something bright! It’ll raise your mood and probably others’ too! Plus, it’ll remind you of summertime, when bright colors are the most prominent. Similarly, why not try out a bright new shade of lipstick, nail polish, or even hair dye? This will add a nice boost to your appearance and will make you feel better. During the winter months, your tan and summer glow may fade, so this can be a good compensation for that. Another thing you can do is buy yourself flowers—or better yet, receive them from a spouse! Flowers are a reminder of spring being right around the corner and will surely brighten up your days. They’ll be that pop of color that you need with all the dreariness around you. The smell alone will make you feel a little lighter and ready to start off the day. Finally, you can make your commute to work a little brighter by getting new seat belt webbing colors. The company Safety Restore provides this service. They have many seat belt webbing colors to choose from including Ferrari Red or Illuminating Yellow. With such vibrant seat belt webbing colors, you’ll definitely feel a little pick-me-up whenever entering your vehicle and starting off your winter work day! When looking at a standard seat belt, the first thing that comes to mind probably has something to do with its functionality, like securing occupants when driving. You may be thinking of all the potential injuries or even death that this contraption has saved you from throughout the years. Or, you may be wearily recalling all the times you have been pulled over by the police for not wearing one. Whatever you may first think when looking at a seat belt, you probably don’t immediately jump into thinking about ways it could be broken. However, there are a ton of ways that seat belts can break or wear out over time. Below are just a few things that can go wrong with your seat belt and be the cause for needed repair work. Looking to fix your car’s seat belts? SafetyRestore is the #1 Nationwide Shop. One thing that can happen to your seat belts is that they stop retracting. The spring weakens in old seat belts, and they wear out over time. Also, sweat buildup on the webbing makes for slower retraction. If this happens to your seat belts, a seat belt retractor repair would be necessary. Another thing that can go wrong with your seat belts is that they simply get locked. This often occurs in the event of an accident, when the seat belts equipped with a gas charge deploy. When a seat belt locks, it pulls the occupant back against the seat, which helps reduce the impact with the airbag due to rapid inflation. For a locked seat belt, a seat belt tensioner repair would be needed. 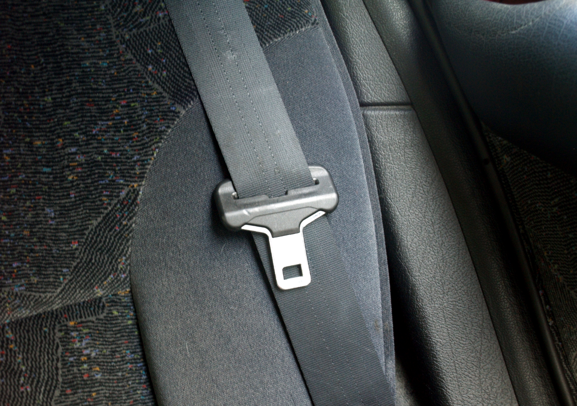 One thing that occurs to many seat belts over time is regular wear and tear. With prolonged use, seat belts can become frayed, worn out, cut, torn, or even chewed through by a pet! A complete seat belt webbing replacement would be wise when this occurs. Obviously, to reverse all of these potential damages to the seat belt, you would need to find someone who can fix car seat belts. There are plenty of car dealers who can fix car seat belts, but their prices are not always the most affordable. Going to the company Safety Restore, on the other hand, is much more practical. The company not only can fix car seat belts but also resets SRS airbag modules too. Quality and safety is the company’s #1 priority. You will not regret choosing Safety Restore. With all the laws established for the use of seat belts, it should be of no surprise that they have extended to dogs too. Yes, you read that right! There are currently eight states requiring dogs to be strapped into a canine-specific harness while driving, and soon other states will likely follow suit. As a matter of fact, it is not uncommon to find car seat belt repair shops now carrying seat belt harnesses for dogs. Car Seat Belt Repair Shop serving customers Nationwide with our Mail-in Service! So what exactly is a canine-specific harness? It is a piece of equipment made up of straps that surround and fasten together to secure a dog much like a safety belt does for humans. Many are adjustable by size to fit various dog breeds. The straps are usually made of nylon, and plastic is the primary material of the buckles. Currently, many different prototypes are available on the market, and it is just a matter of preference for the dog owner to choose from. Believe it or not, harnesses have been created not just for dogs, but for rabbits, cats, pigs, and even parrots too! The unbelievable list goes on but that is another story. For now, legislation is mostly focused on securing dogs while driving, as they are most often driven around and can be pretty large in size. If so much emphasis and care is taken into strapping canines in while driving, being secured as a human should be a no-brainer. Seat belts should be worn at all times while driving, and a driver should ensure that all passengers in their vehicle are safely strapped in. If your seat belts have become locked or blown after an accident, you should bring them to a car seat belt repair shop immediately! You have the option of going to a dealer to get brand new seat belts or going to a small business that could do the repairs for you. The company Safety Restore is a car seat belt repair shop that you can trust to demonstrate quality and safety. The company can restore your seat belts to factory condition and will save you hundreds of dollars. Safety Restore also makes sure to complete all repairs in just 24 hours, so you can be driving safely again in no time! Did you know there are currently eight states requiring drivers to strap in their dogs with a canine-specific harness while on the road? These states are Minnesota, Connecticut, Hawaii, New Hampshire, New Jersey, Rhode Island, and Massachusetts. Get any colour seat belt by having your seat belt webbing replaced with our nationwide mail-in service! These laws are in place because dogs get injured in car accidents quite often. Usually, humans are secured by seat belts and in the case of an accident may only sustain minor injuries. Dogs, on the other hand, often get ejected from a vehicle and are critically injured. As a result, dogs are not infrequently left to die or are put down instead of given the care that humans do. Because regular seat belts are not designed for dogs, specific harnesses have been manufactured to keep them safe while driving in a car. Not only are they easy to use, but they are comfortable for the dog too. While wearing the harness, dogs still have the ability to sit up, lie down, and move around. There are several benefits for a dog to wear a seat-belt harness. First, they can avoid the aforementioned ejection from a vehicle. Even low speed collisions can end up with a dog being launched through a windshield at 20 mph or more. If a dog wears a seat belt harness, the harness can help by absorbing deceleration forces much like a human safety belt does. This can result in less possible injury to the canine. Additionally, when a dog is secured into a harness, it has less chances of colliding a human during an accident—saving them both from additional injury. A restrained dog is not able to run off when a door is opened, which is an added benefit for any day. Finally, this restraint also prevents the dog from distracting the driver or tangling up in other objects in the vehicle. If dogs are required by law to be strapped in, humans should certainly be wearing seat belts themselves! Seat belts are important safety components not to be taken lightly. If any of your seat belts have been destroyed over time by simple wear and tear, or your faithful dog chewed through them, do not hesitate to replace them immediately! 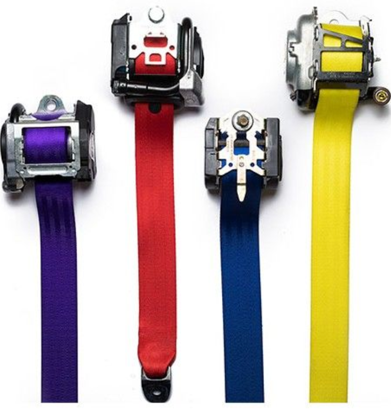 The company Safety Restore has color match and custom coloured seat belts for sale. The coloured seat belts for sale are available for all makes and models of vehicles, and there are many shades of colors to choose from. Even though the company resides on the east coast, it welcomes customers nationwide. 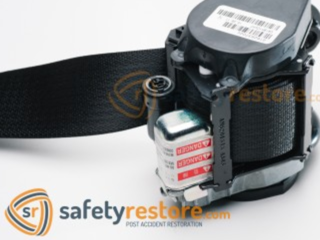 Customers simply need to log onto safetyrestore.com, where they can find the coloured seat belts for sale and purchase the service before sending in their belts to the company for repair. If you live in Connecticut, there are several laws you should be familiar with if you drive a car, motorcycle, or even bicycle. To begin with, Connecticut state law requires all bicycle drivers to wear a helmet if they are 15 years of age or younger. When it comes to motorcycles, drivers between the ages of 16 and 17 must wear a helmet. Those over the age of 18 need to wear a helmet only if they have a motorcycle permit instead of a motorcycle license. Regardless of age, all motorcycle operators must wear protective eyewear, whether it be glasses or goggles. That holds true, unless the person’s motorcycle comes with a windshield, in which case protective eyewear is not required. There are several rules when it comes to driving a car. To begin with, a $92 fine can be applied to any driver refusing to wear a seat belt, or failing to ensure that their vehicle’s occupants are strapped in. Police officers are allowed to pull drivers over solely for this reason. In addition, anyone that is found in the front seat of a car must wear a seat belt. In the rear seat, all occupants aged 4 to 16 must be secured in a proper safety system as well. Texting is absolutely prohibited while driving. When on the road, drivers of a vehicle over the age of 18 are only allowed to use hands-free cell phones. Headlights must be used during times of fog or precipitation, and whenever the road ahead cannot be seen clearly. Thirty minutes after sunset until about thirty minutes ahead of sunrise is the standard time to have headlights turned on. Another important requirement for drivers is that studded snow tires must be used between November 15 and April 30. Regardless of what you are driving, you should always ensure that you are driving safely and responsibly. If you are on the road and detect that someone is driving dangerously, or worse is inebriated, do not hesitate to call 911 and report it. Safety on the road is crucial especially in the state of Connecticut. In the year 2016 alone, there were 311 fatalities reported on the road. Seeing as how seat belts play a big role in Connecticut law, and how crucial they are to your safety, it is important that you make sure your seat belts are functioning properly at all times. 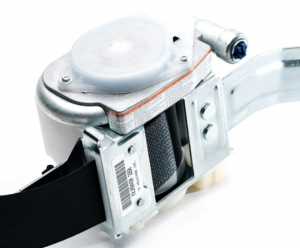 If you need safety belt repair, you can always turn to the company Safety Restore. Safety Restore performs repairs on single stage, dual stage, and even triple stage seat belts for all makes and models of vehicles. At only $118.99 per unit, getting safety belt repair at this company costs only a fraction of the price of a dealer. You’ll also be left with a lifetime warranty on your seat belts. You can be assured of quality and safety as the company only employs highly experienced seat belt engineers. 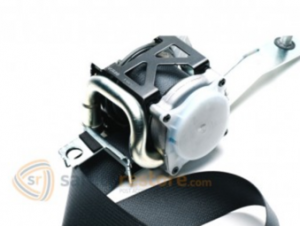 The seat belts are repaired using industry standard tools and 100% OEM parts, and FMVSS standards are always met or exceeded. With the company’s quick 24 hour turnaround time, you’ll be driving safely on the road again in no time! Need seat belt strap replacement services? Use our nationwide mail-in services and choose from the colors of your choice! Whether it is for seat belt strap replacement, seat belt repair, or SRS airbag module resetting–Safety Restore is the company to turn to. Safety Restore has built its success on the repair of seat belts and the restoration of seat belt webbing. They have met customers with cut, frayed, torn, worn out, and even dog chewed seat belts in need of seat belt strap replacement. They have also worked with many customers who had perfectly functioning seat belts but wanted to change their standard brown, gray, tan, or black belts into a more interesting color. To fulfill customers desires, Safety Restore has two options when it comes to seat belt strap replacement. Customers can choose from either the color match or custom color option. The color match option is for those who want to have seat belt strap replacement done in the same color as their original or remaining seat belts. The custom color option is for the latter customers, mentioned above. Sick of their standard seat belt color, these folks can choose to get seat belt strap replacement in a variety of exciting shades. To name a few, there are colors like Ferrari Red, Cobalt Blue, Illuminating Yellow, Neon Green, Hot Pink, and Dazzling Purple. When choosing either option, customers are not compromising safety or quality in the least. Safety Restore uses automated stitching to re-web the material down to the spool, replace the original factory stitching pattern, and restitch all the original manufacturer tags and accessories. The assembly mechanism is cleaned out as well. To complete the seat belt strap replacements, the company employs only highly experienced and well trained seat belt engineers. Industry standard tools and 100% OEM parts are used at all times. Furthermore, FMVSS are always met or exceeded, and a dual pro system is in place to test repairs. 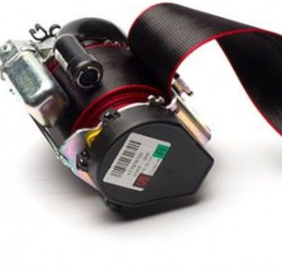 A quick 24 hour turnaround time can be expected by all customers, regardless of the amount of belts being sent in for seat belt strap replacement. Safety Restore’s prices are unbeatable, with seat belt strap replacement coming in at only $74.99 per belt! A lifetime warranty backs up all services as well! To get seat belt strap replacement today, head on over to safetyrestore.com. Once logged on, you can select and pre-pay for the service–making sure to select the amount of belts being sent in, and whether you desire the color match or custom color option. Then, remove your current seat belts from your vehicle, box them up, and ship them out to Safety Restore in Westfield, MA using any preferred carrier. 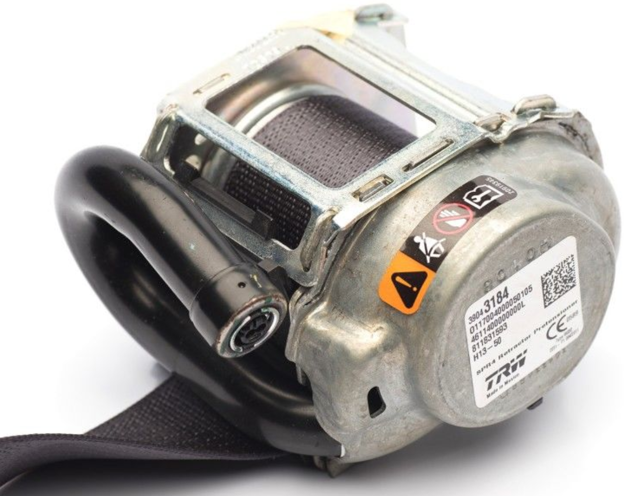 Upon receiving your package, the seat belt masters will perform the seat belt strap replacement in just 24 hours and you will be receiving the belts back in a few short days! Need seat belt restoration services? User our mail-in nationwide service and save hundreds today. If you are looking for seat belt restoration services, Safety Restore is the company to turn to. Safety Restore has been specializing in the repair of seat belts and the restoration of seat belt webbing for years now. When it comes to seat belts, they have it in the bag. The company knows that over time, seat belts may become worn out, torn, frayed, cut, ripped, or even chewed through by a pet. All cars can experience this wear and tear–luxury cars, regular cars, and classic cars alike. That is why Safety Restore offers set belt restoration services–and at a margin of the cost of getting the work done at a dealer! Seat belt restoration services at Safety Restore cost only a meager $74.99 per belt! All makes and models of vehicles are welcomed. Not only is the pricing undeniable, but safety and quality too. Only well trained and highly experienced seat belt engineers are employed by Safety Restore. All repair work and webbing replacement is performed with industry standard tools and 100% OEM parts. A dual pro system is in place to test repairs. Additionally, FMVSS standards have always been met or exceeded by the company. Safety Restore also backs up everything–including its seat belt restoration services–with a lifetime warranty. In the unlikely chance that something goes wrong with the seat belts in the future, customers have the option to send them back in for rework without having to pay additional fees. Regardless of the amount of seat belts being sent in, a 24 hour turnaround time can be expected by all customers. Even from its east coast location in Westfield, Massachusetts, Safety Restore works with customers throughout the country, and even overseas! Search no longer for seat belt restoration services! Head on over to safetyrestore.com, select, and pre-pay for the service there. Then, simply remove your seat belts from your vehicle, box them up, and ship them out to Safety Restore using any preferred carrier. Once the seat belt masters receive your package, they will perform the necessary seat belt restoration services in just 24 hours or less. The material will be re-webbed down to the spool with the original factory stitching pattern replaced, the original manufacturer accessories and tags restitched, and the assembly mechanism cleaned out. You can expect to receive your newly restored seat belts in just a few days. You couldn’t be making a wiser choice than having Safety Restore perform seat belt restoration services on your vehicle!